Heads up Game of Thrones fans! 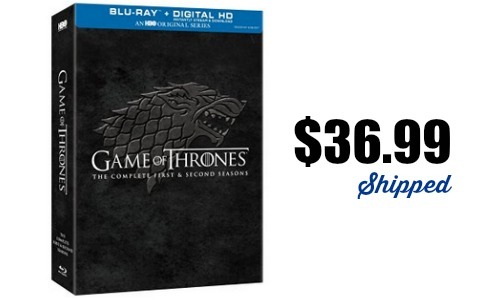 Today only, you can grab the Game of Thrones: Complete First & Second Season Multi-Format Blu-ray + Digital HD Gift Set for only $36.99, regularly $139.99. If you prefer the DVD set, you can get that for $32.99. This is a huge savings on this collection so be sure and grab it while it’s this price.